Ravi Bhatnagar, Head External Affairs and Partnerships, RB India, “The Maha Kumbh this year is expected to be the biggest it has ever been. With Dettol Harpic Banega Swachh India always being at the forefront of driving behavior change in the community with respect to hygiene and sanitation, it is an important platform for us to create direct touchpoints with our audience. 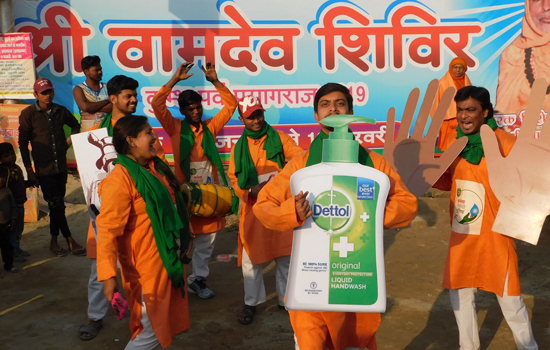 Our aim to make a clean and hygienic Kumbh experience a reality for everyone attending this year with the hope of leaving a long–lasting impact on their minds.” Dettol Harpic Banega Swachh India aim to raise much needed awareness among the attendees about proper hygienic practices and incentivize them to observe environmental and river-friendly practices.